episode one: the pancake molds. 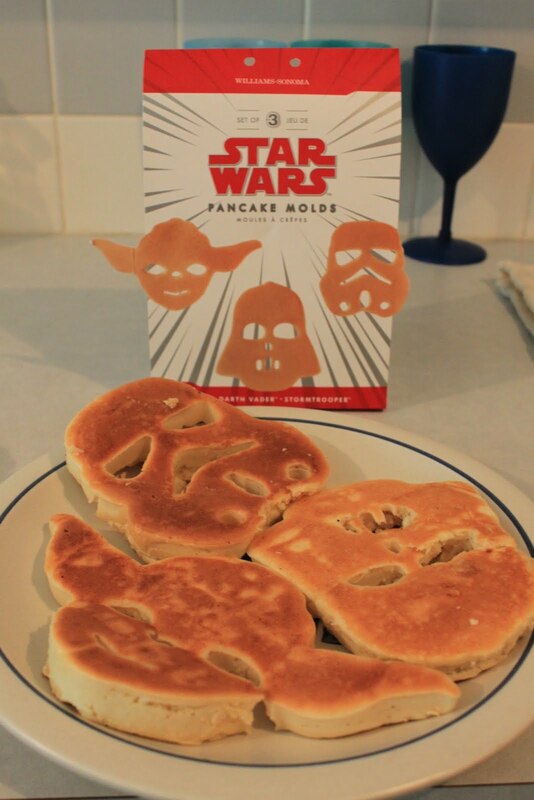 episode one with my new star wars pancake molds happened yesterday after church. it went okay – it was exciting, even though execution wasn’t perfect. i put too much batter in the molds and they got stuck and wouldn’t come out. vader ended up looking more like darth hillbilly with that grill. and yoda ended up with a lobotomy. TK-421 turned out great, but wasn’t at his post long cause he ended up in my belly. episode 2 may be entitled “attack of the chocolate chips”. here’s to hoping. >did you use my syrup?!? !you better have used my syrup. Previous Previous post: home office decor. Next Next post: fantasy football roster.